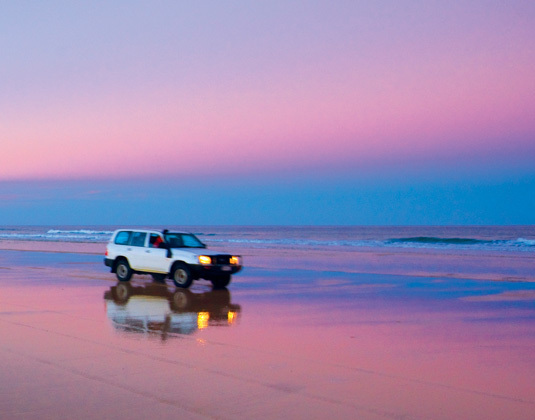 Day 1 Hervey Bay, River Heads/Fraser Island: Meet at the pick up point for your transfer to the ferry port and travel to Fraser Island (approx 45 minutes), the largest sand island in the world, which is located on the southern tip of the Great Barrier Reef. 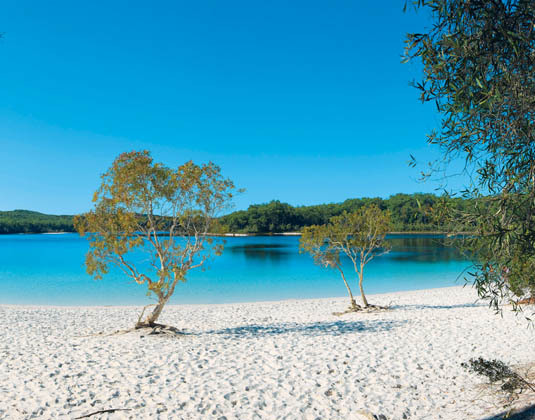 On arrival the rest of the day is at leisure to explore the resort and your surroundings or you may prefer to simply relax on one of the pristine beaches. 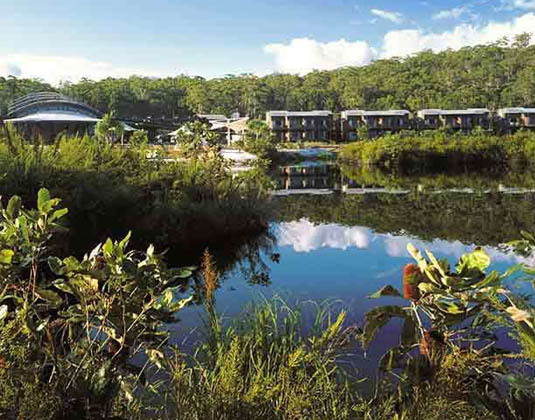 Day 2 Fraser Island: This morning depart the resort for a full day 4WD ranger guided eco-tour, taking in the main sights of the island. 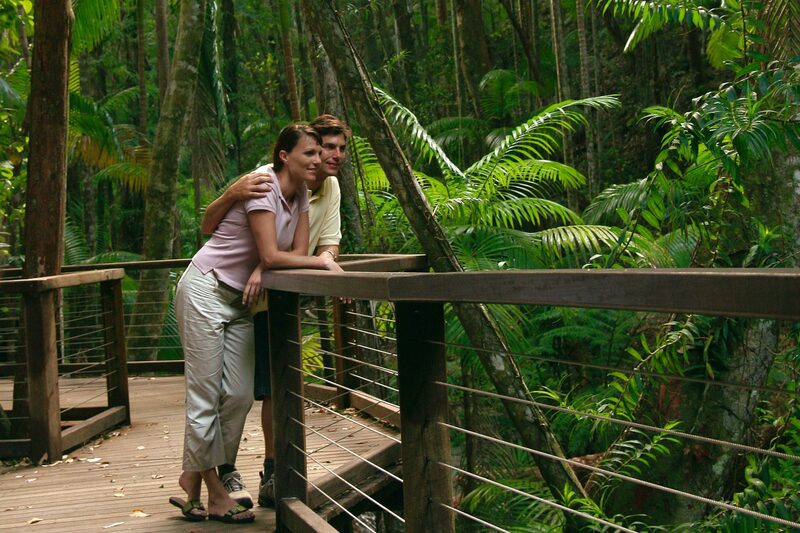 Swim in Lake McKenzie, walk down the boardwalk in the middle of Central Station rainforest with the trees towering above you. 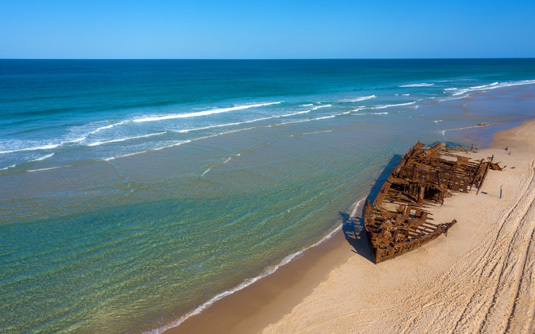 Drive along 75 Mile Beach to view the Maheno shipwreck and the coloured sands of The Pinnacles, also visiting Eli Creek en route. 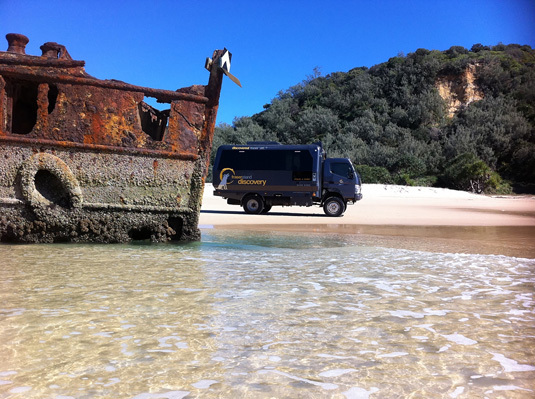 Day 3 Fraser Island/Hervey Bay, River Heads: Take the ferry back to Hervey Bay, River Heads where your tour ends. 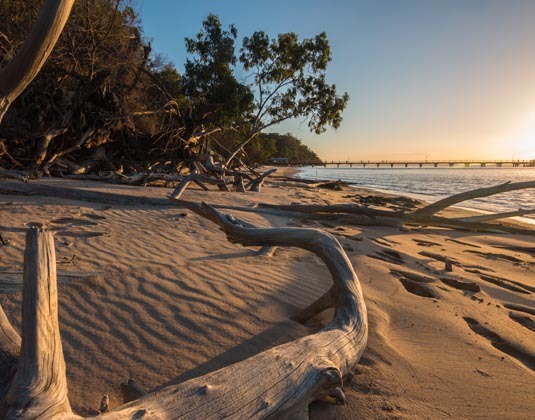 Departures: Daily from Hervey Bay, River Heads. Meals: Breakfast. Lunch is also included on day 2. 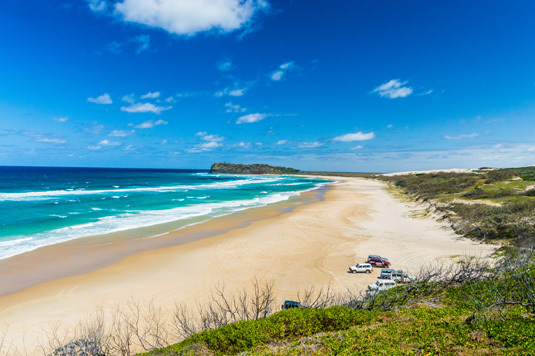 Tour price: The price shown is based on the best value travel dates in low season and includes return ferry transfers from Hervey Bay River Heads, two nights accommodation and a full day Fraser Island tour on day 2. 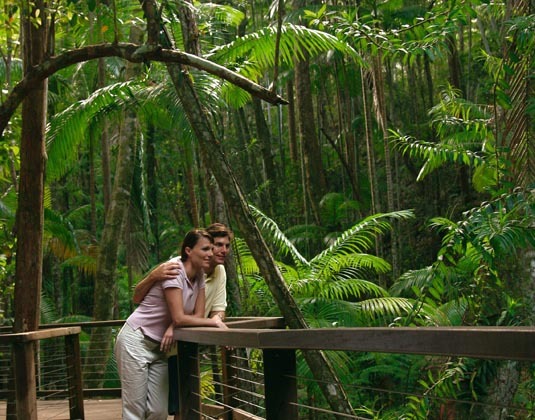 Car hire from Brisbane can be included if needed at a supplement. 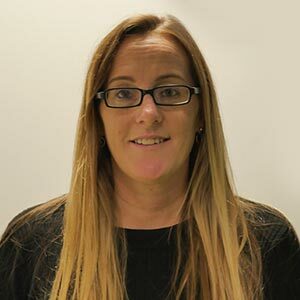 3 night option also available.